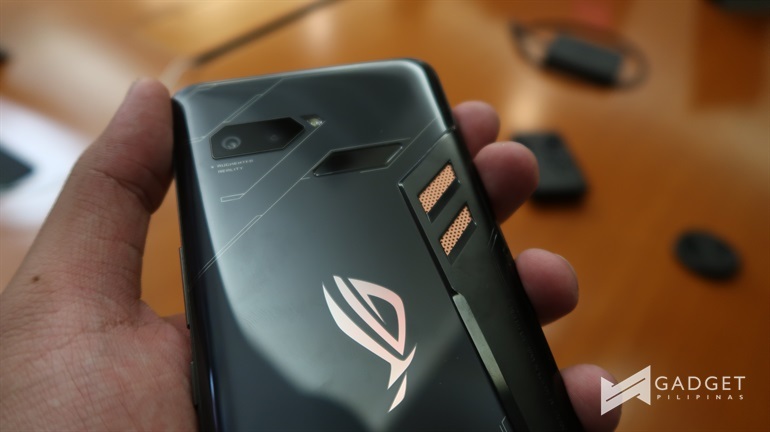 ASUS ROG Phone Now Official – A Mobile Gamer’s Dream Come True? Mobile gaming is a big thing these days. And today, ASUS ROG has shown that it knows when to jump in on the trend. With the numerous requests and speculations floating around, perhaps one of the most-awaited devices from the brand has finally been unleashed, and it’s shaping up to be a dream for the mobile gamer. Meet the ASUS ROG Phone. I’d say this right off the bat, it looks striking, like it screams power in every corner. For what it has though, it remains to be quite manageable in terms of size. You get a full-screen display so that your games can take advantage of more real estate. And what better way to enjoy your games even more, than with front-firing speakers. The phone’s display has a 90Hz refresh rate and a 1ms response time to make your visuals smooth and fluid. The device also features air triggers, which sort of work like the R1 and L1 buttons on a regular controller by using ultrasonic sensors. 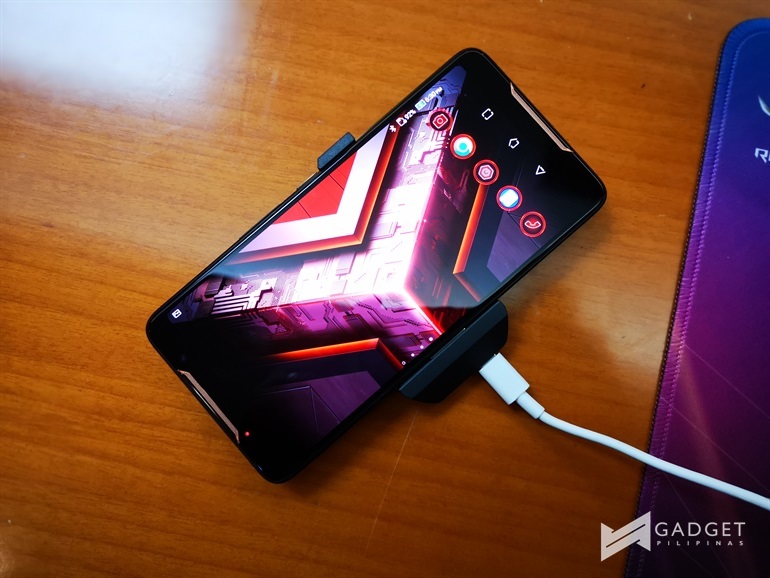 Of course, the device is powered by the Qualcomm Snapdragon 845, but not just any would do, as the ROG Phone is the first in world to run on one with a clock speed of 2.96GHz. It has 8GB, yes, 8GB of RAM, along with up to 512GB of storage. 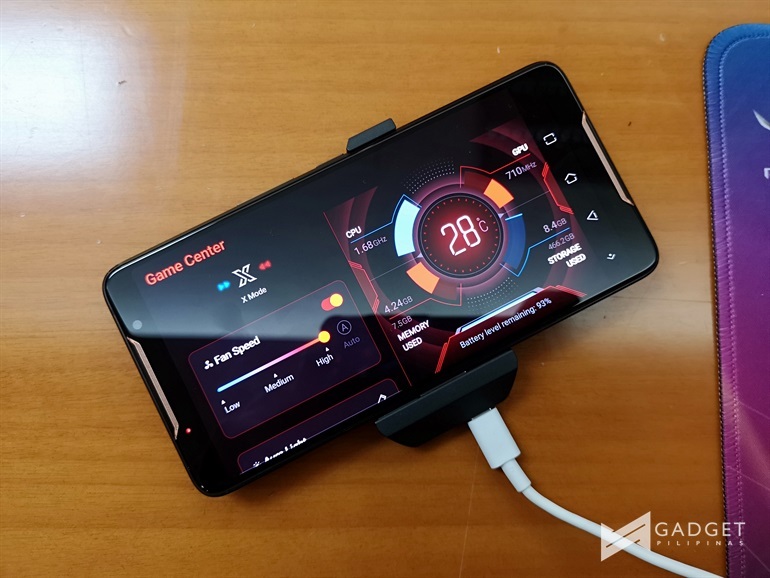 What also makes the ROG Gaming Phone special is that that it uses a Vapor-Chamber cooling system that the device is able to run in its most optional condition even in long hours of gaming. You can also attach a AeroActive Cooler that boosts cooling even further by acting as a sort of vent. 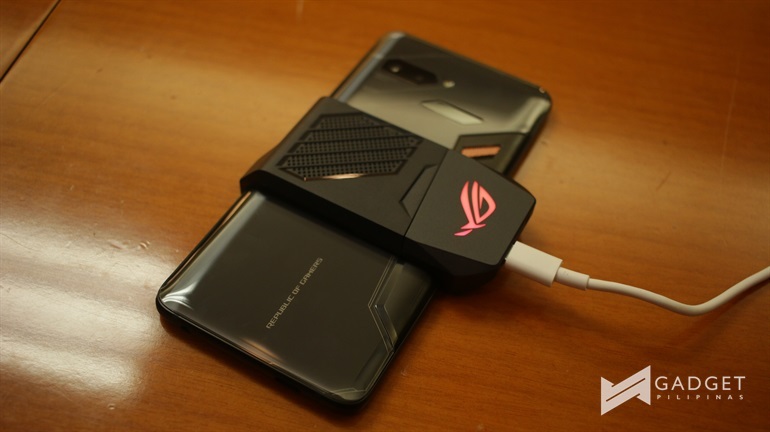 The ROG Phone also has two charging ports, one on the side, and one at the bottom. That’s so you can comfortably hold it while playing in landscape mode while the data cable is connected. It’s got a 4,000mAh battery which delivers up to 7 hours of game time over WiFi, and ASUS’ Hypercharge Technology which charges the device to 60% in just 33 minutes. There are also a number of accessories that allows you to create an even more engaging experience, such as a Twinview Dock, which gives you a second screen to check out viewers comments during a livestream. 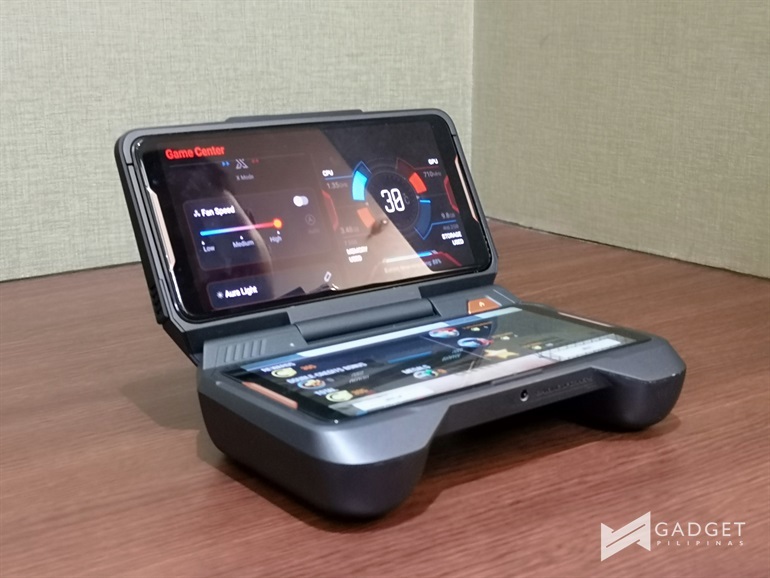 There’s also a Mobile Desktop Dock, and a Gamevice and WiGig Dock that turns the phone into a controller. On the software side, the ROG Phone has X Mode, which not only optimizes the device for maximum performance, but also lets you game without being interrupted by notifications. ASUS ROG Unleashes STRIX Hero II and Scar II Gaming Laptops!